The internet is currently in love with a goofy horror short of a giant spider [warning: not for very young eyes] that traps people in its web. Spoiler alert, it’s not a spider. Or even bad CGI. It’s a dog in a spider costume. Up close it’s adorable but I suppose if you saw it running at you in the middle of the night in an empty subway you would probably freak out too. 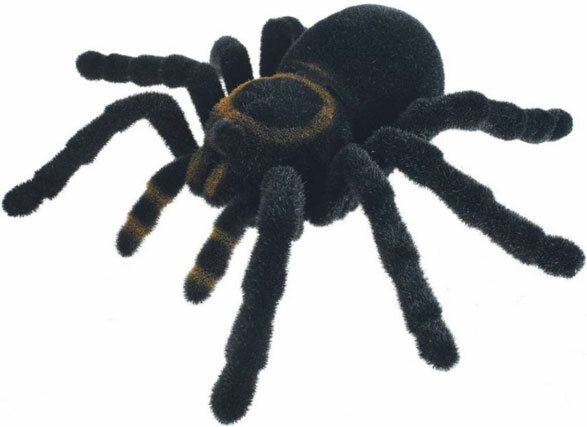 The next best thing to an adorable spider dog to freak out your neighbors is the Radio Control Tarantula. Maybe a bit early for Halloween, but really, is it ever too early? This little guy scurries across the floor at your whim. Sneak up on friends and family and watch them completely lose it as they’re approached by what could rightfully be considered under any circumstances a giant spider. After all, at 10” b 10”, this dude is far larger than just about anything you would find creeping around in your house. The spider moves in forward and turns in reverse. I imagine this gag would work even better if you happen to have a real pet spider. Get out there and prank some people! 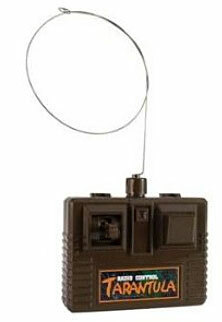 The Radio Control Tarantula is $19.95.